haploid mouse embryonic stem cells. A fast and comprehensive method for determining the function of genes could greatly improve our understanding of a wide range of diseases and conditions, such as heart disease, liver disease and cancer. 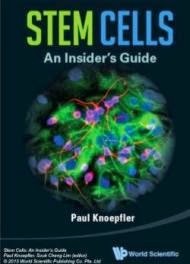 The method uses stem cells with a single set of chromosomes, instead of the two sets found in most cells, to reveal what causes the “circuitry” of stem cells to be rewired as they begin the process of conversion into other cell types. The same method could also be used to understand a range of biological processes. Embryonic stem cells rely on a particular gene circuitry to retain their original, undifferentiated state, making them self-renewing. The dismantling of this circuitry is what allows stem cells to start converting into other types of cells - a process known as cell differentiation - but how this happens is poorly understood. Researchers from the University of Cambridge Wellcome Trust-Medical Research Council Stem Cell Institute have developed a technique which can pinpoint the factors which drive cell differentiation, including many that were previously unidentified. This new method uses stem cells with a single set of chromosomes to uncover how cell differentiation works. Cells in mammals contain two sets of chromosomes – one set inherited from the mother and one from the father. This can present a challenge when studying the function of genes, however: as each cell contains two copies of each gene, determining the link between a genetic change and its physical effect, or phenotype, is immensely complex. "The conventional approach is to work gene by gene, and in the past people would have spent most of their careers looking at one mutation or one gene. Today, the process is a bit faster, but it’s still a methodical gene by gene approach because when you have an organism with two sets of chromosomes that’s really the only way you can go." said Dr Martin Leeb, who led the research, in collaboration with Professor Austin Smith. Dr Leeb used unfertilised mouse eggs to generate embryonic stem cells with a single set of chromosomes, known as haploid stem cells. These haploid cells show all of the same characteristics as stem cells with two sets of chromosomes, and retain the same full developmental potential, making them a powerful tool for determining how the genetic circuitry of mammalian development functions. The researchers used transposons – “jumping genes”– to make mutations in nearly all genes. The effect of a mutation can be seen immediately in haploid cells because there is no second gene copy. Additionally, since embryonic stem cells can convert into almost any cell type, the haploid stem cells can be used to investigate any number of conditions in any number of cell types. Mutations with important biological effects can then rapidly be traced to individual genes by next generation DNA sequencing. "This is a powerful and revolutionary new tool for discovering how gene circuits operate. The cells and the methodology we’ve developed could be applied to a huge range of biological questions." said Dr Leeb.